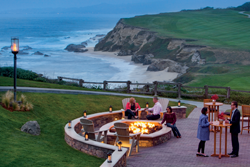 An IAGA International Gaming Summit wouldn't be complete without exceptional social events each evening, and our 2019 Half Moon Bay events will be no exception. Each evening will feature exceptional cuisine coupled with a great opportunity to catch up with your global industry colleagues. 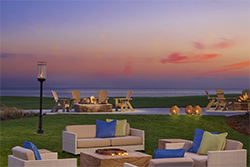 Monday, June 3 • 6 - 9 p.m.
Join us Monday evening on the Ritz Carlton’s Ocean Lawn where you can come and relax with your global colleagues at your leisure while sampling culinary delights from the Half Moon Bay area. We’ll have cocktails and light food available as you catch up with old and new friends clustered around the fire pits. Tuesday, June 4 • 6 - 9 p.m. 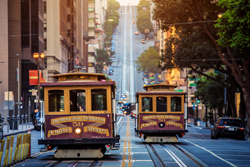 This year’s President's Dinner will take you on a gastronomic tour of nearby San Francisco as you enjoy a wide variety of dishes that highlight the numerous cuisines of the city. Highlighting the best tastes from popular areas like North Beach, the Ferry Building and Mission street, you’re sure to be full before you sample them all! Thursday, June 6 • 5 - 8 p.m.
We’ll conclude this year’s Summit with a relaxed evening where we’ll blend a traditional oceanfront clambake with classic barbecue fare. Leave your work attire in your room, and join us on the Ocean Lawn for one last Pacific sunset while you enjoy great food, lively conversation and a drink or two!